Amybeads: From Sunny to Stormy! 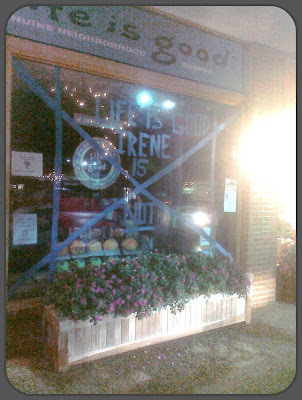 Well, I'm laughing to myself at the title of my last post since I'm sitting all cozy at home now, having been ordered to evacuate Cape May county! We had been watching the news carefully and then last night we heard about the mandatory evacuation. Knowing home is only about 3 hours away and since Irene wasn't due to it NJ until Saturday we decided to stay one more night and head into Stone Harbor so I could stop into the bead store there. But I didn't have any gas in my car. 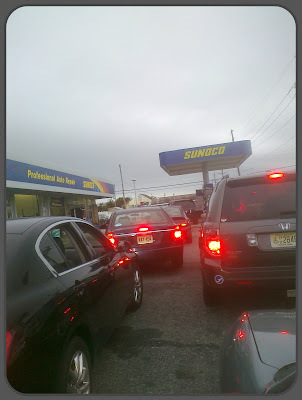 So on our way to Stone Harbor, we tried to stop at a gas station, but they were packed - right near the Parkway, so I figured I'd head away from the Parkway and get gas closer to Stone Harbor.....not so much...the next two gas stations were out of gas! So I looked for a gas station on my GPS, and the closest one was 4 miles away...so we headed that way. 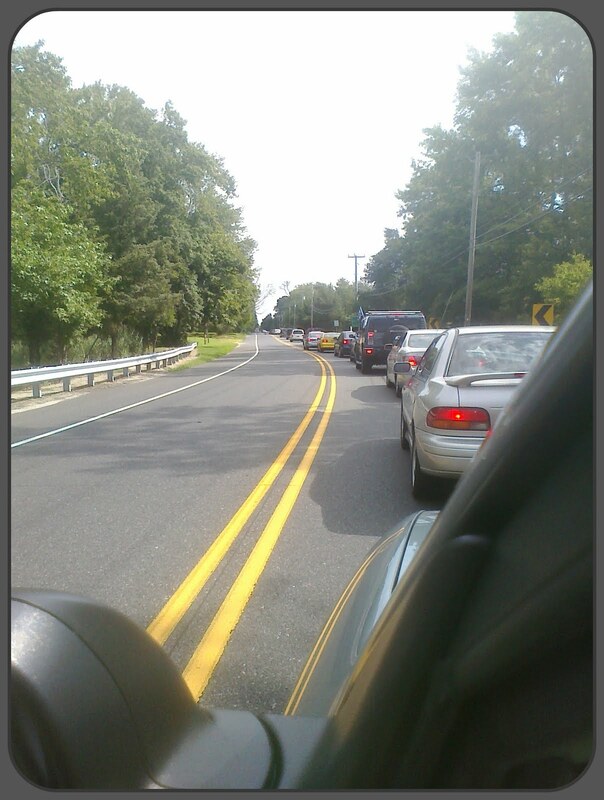 As we approached we saw 3 police cars and policemen directing traffic - there was a line 3 blocks long at both entrances! Thankfully - they were very efficient and it only took us about 40 minutes until we got gas. Then we headed back to SH, and I was starved. We got pizza and by then, the bead store was closed. :( So we puttered around SH and saw that everyone was indeed preparing for the impending hurricane! 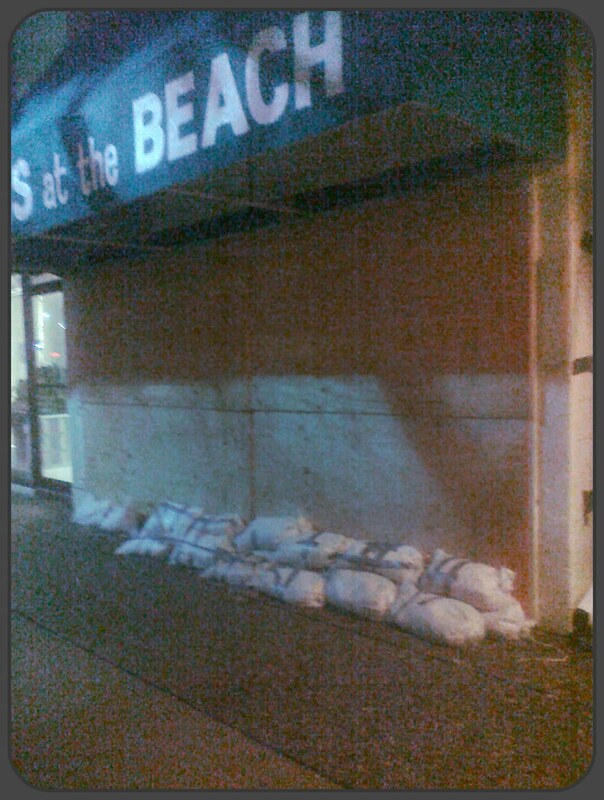 Lots of boards and sandbags. We slept well last night and woke up to a beautiful day. The calm before the storm I suppose! Our normally 3 hour trip took about 5 hours today. But I'm glad to be in a safer part of the country. We have a tropical storm warning in my part of Maryland, through the weekend. Thankfully, we have everything we need here at home. And of course I have a great bead project and millions of beads to play with, while I'm confined to the house! I'm looking forward to working hard on my Bead Soup project before getting back to work on Monday! I hope everyone on the East Coast stays safe! Glad you are safe. Evacs are not fun at all. The photos look great and thanks for keeping us all in the know. Stay safe! Can't think of a better way to ride out a storm than with lots of beads to play with!